The BC Greenhouse Growers’ Association (BCGGA) has ongoing concerns around the availability of good, clean water for our greenhouses. Reliable and sufficient water supply is crucial for agricultural development and food security in the province. Our greenhouse vegetable plants would not survive any interruption in water supply. The Water Sustainability Act (WSA) came into force on February 29, 2016. It modernizes BC’s strategy for using water efficiently throughout the province. Within the WSA, greenhouses are, remarkably, not considered an agricultural use of water but rather an industrial use. The WSA commits to secure agricultural access to water but as greenhouses are not considered to be agriculture, we have concerns with water interruption in summer months during a drought. Municipalities and possibly the provincial government will not be allowing any new agricultural businesses to use municipal water. Those farms that are on municipal water will not be permitted to continue using it in the future. Water connections would be restricted to one inch for agriculture. Some municipalities do not permit municipal water to be used for open field irrigation and this prohibition will be extended to greenhouse irrigation. We have met with many levels of government in the past year and discussed these rumours. Government officials say there is no basis for these rumours and deny that there is anything in the works. Environment minister Mary Polak did, however, comment that municipal water – or potable water – is very expensive to produce and finding alternative water supplies when potable water is not necessary would be an attractive solution to high- cost municipal potable water. 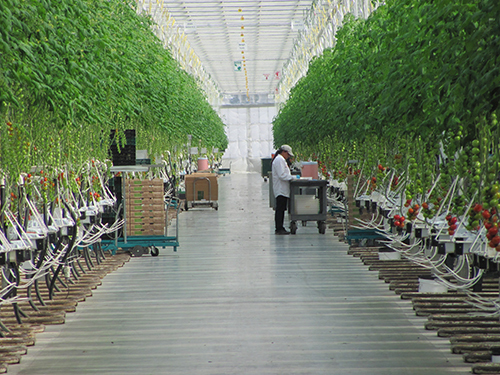 For a variety of climate reasons, greenhouse vegetable growers are mainly clustered in the Lower Mainland and, more specifically, near water such as in north Abbotsford and Delta. Our growers have found that proximity to bodies of water – the Fraser River and the ocean – helps provide a climate in the summer months that our crops prefer: lower temperatures and higher humidity. Growers in these areas are on municipal water systems. Our farms grow their plants in bags, many in gutters, allowing for the collection of water the plant doesn’t use. This water is treated and recycled back to the plants. Rainwater is collected from the roof into holding ponds, then used for irrigation. These practices have reduced our overall consumption of fresh water, making the best use possible of this valuable resource. We acknowledge that potable water is expensive to produce and we do not necessarily require fully potable water for irrigation. 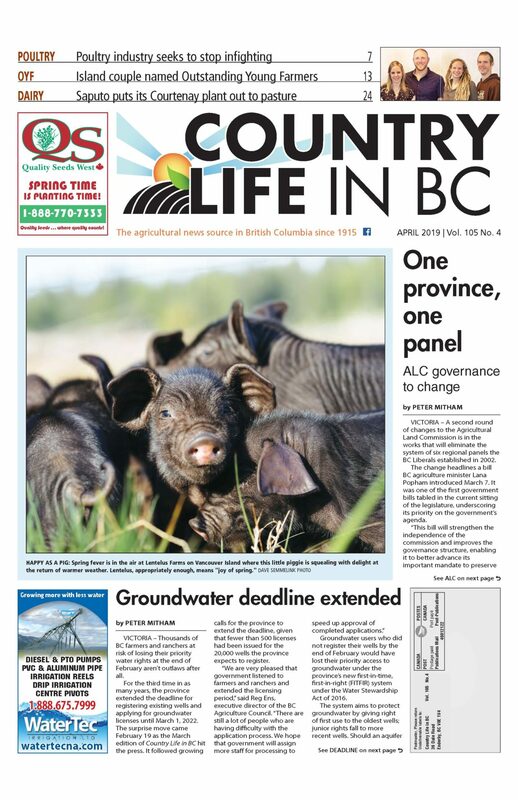 Alternative sources of water, such as drilled wells in north Abbotsford and Delta, will not produce water that will be abundant enough or suitable for irrigation purposes. Soil-based farmers in Delta use Fraser River water that is pumped into the ditch system. This source of water is not sufficiently clean for greenhouse use, and would compromise our food safety. There is a long-term solution to provide greenhouses with secure access to clean, non-potable water from the Fraser River. This would require an infrastructure project to provide farmers with a treatment system and pipeline dedicated to agriculture. An infrastructure project such as this would benefit the entire Lower Mainland agricultural complex. This large infrastructure project would be an excellent project to access the recently created Canada Infrastructure Bank. The federal government created this bank as a new tool to provide low-cost financing for new infrastructure projects to help provinces and municipalities build the projects their communities need. This project clearly reflects the objectives of green infrastructure projects to deliver clean air and safe water systems. Our industry will continue to explore this possibility with municipal, provincial and federal government authorities. We welcome other sectors to join us in this initiative. Linda Delli Santi is the executive director of the BC Greenhouse Growers’ Association.